Here is my price list (at least!). 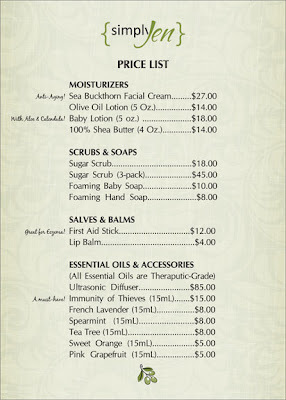 Orders can be placed by sending an email with your name, address, phone number, and desired products to: jen@jenique.com. I will reply with a link to my paypal payment page. Soon, I will have a beautiful, fully-functioning, up-with-the-times, e-commerce website from which you can browse and shop to your heart's content! Thanks for your patience, and most of all...your support! !